On 26 April 1968 EMI Records’ Parlophone label released the single Early Morning (b/w Mr Sunshine) by Barclay James Harvest. Formed in Oldham by John Lees, Woolly Wolstenholme, Les Holroyd and Mel Pritchard, the band’s first release was championed by the legendary DJ John Peel on his BBC Radio show who declared; “It’s their first single but by no means their last. They’re going to do great things”. Thus the career of Barclay James Harvest began. This legacy includes a series of classic albums such as such as Barclay James Harvest, Once Again, Barclay James Harvest and Other Short Stories, Everyone Is Everybody Else, Barclay James Harvest Live, a double album which became their first UK chart album, Time Honoured Ghosts (recorded in San Francisco by Neil Young producer Elliot Mazer), Octoberon, the platinum selling album Gone to Earth, performing to 175,000 people on the steps of the Reichstag in West Berlin in 1980 (the album of which topped the German charts) and selling over 500,000 concert tickets on a subsequent German tour. Calling into Buxton Opera House on 4 October on the band’s first UK concert tour in two years, they will be promoting their new studio album. The album follows on from the successful and acclaimed 2013 album North and celebrates the wonderful music of BJH over a staggering fifty years. This legacy includes a series of classic albums such as such as Barclay James Harvest, Once Again, Barclay James Harvest and Other Short Stories and, Everyone Is Everybody Else. 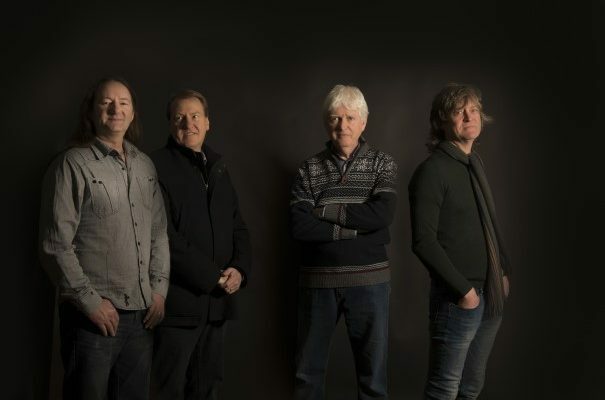 Tickets for John Lees’ Barclay James Harvest are £30. To book, call 01298 72190 or buy online.